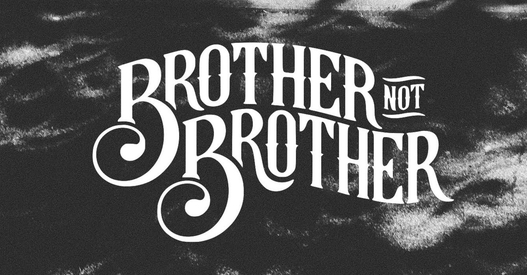 Brother Not Brother (formerly Hammerhead) is an indie folk-rock band made up of Tyler Robinson and Andrew Harrison, who have been rocking the Portland music scene since 2015. In addition to their dualing-guitar thing, Andrew (on the left) has a tambourine on a foot pedal while Tyler (on the right) has a bass drum, allowing them to build songs big, then suddenly bring them down, which they do to a T. The other amazing thing about these guys, though related, is the wide range of moods they can create, and their ability to adapt to where they are performing. Saturday, October 13, at the Garage Door inside McMenamins Grand Lodge, they had a quiet, attentive audience. Their music sets were created for them. My favorite song from the set was “Modern-Day Astronaut”, but I chose to show you “Death Of Eden” in the video because it demonstrates the many moods they can create, even in a short, five-minute time span.